From an outside perspective, the past half-decade has looked rocky for Electronic Arts. A string of flops and PR disasters like Star Wars Battlefront II and Mass Effect: Andromeda, combined with moves like the shutdown of Visceral Games, has led to a lot of outrage toward the mega-publisher. EA’s perspective, however, is a little different. Yesterday on EA’s quarterly earnings call, CEO Andrew Wilson gave a passionate, fascinating defense of the company’s portfolio that’s worth reading, if only to get a better understanding of how EA’s top executive thinks. This came just minutes after EA confirmed that Anthem is delayed (even though it’s “not a delay”!) and acknowledged that it had sold one million fewer copies of Star Wars Battlefront II than anticipated. “As I look back on the last few years and we think about The Sims which has continued to perform year after year; Battlefield 1 which I think was certainly the biggest Battlefield and maybe the biggest shooter of that year; Plants vs Zombies Garden Warfare, which is a new IP that has done well across two iterations; Dragon Age Inquisition, which in that year  was Game of the Year. Even, you look at Mass Effect and while there was some polarizing sentiment in that franchise, it’s actually performed really well, and player engagement is really strong. And then of course across mobile, SimCity BuildIt, The Sims Free Play, and Star Wars Galaxy Heroes are all highly successful in their own markets. “So as I take a 50,000-foot view and look at the breadth and depth of our portfolio across all of the games we make—and if you look at 2017 in aggregate we were the highest-reviewed publisher across our entire portfolio—so there’s a lot of real goodness there. “With all that said, that doesn’t mean we are perfect, and there are always learning opportunities for us, and we are a learning company. And as you look through our history over the last three or four years, there have been times we didn’t get it right. We have put our player-first commitment at the forefront of everything we do, and we have worked tirelessly to ensure that we are able to support and sustain them with the kind of experiences they expect from us. Yet it’s hard to find many enthusiast gamers who would count EA among the developers of their favorite games, and in fact, it’s very easy to find people trashing the publisher for proliferating microtransactions, loot boxes, and other practices that often feel like crass methods to eke every last dime from players. When it comes to public opinion, things haven’t changed much since 2012 and 2013, when EA was twice declared “Worst Company In America” in a widespread poll following controversies involving Mass Effect 3, Dead Space, and the online-only SimCity reboot. So Wilson’s comments are illustrative. 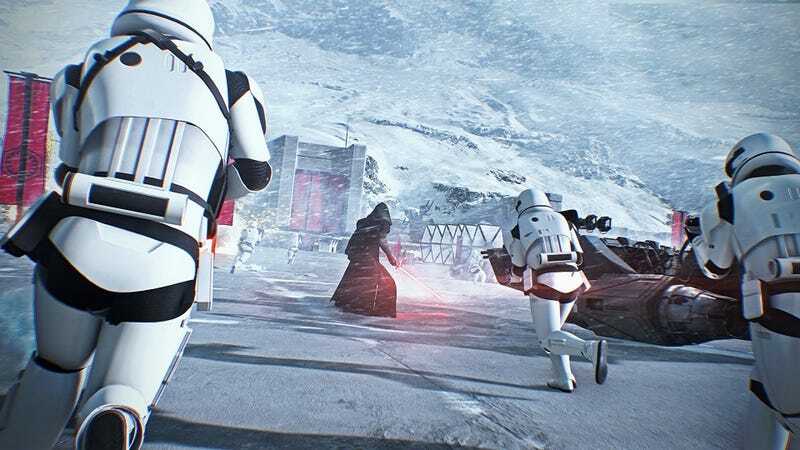 EA might have stepped back from Battlefront II’s loot boxes, and (from what I hear) the publisher (and many of its contemporaries) are reviewing all of their microtransaction practices in the wake of last year’s fury. But the company is happy with how things are going. For better or worse.